Prior to the 2008 credit crisis, 90-95% of loans to UK SMEs were provided by just five banks. In the aftermath of the crisis (and government bailouts), many banks stopped lending to new customers leading to a funding cliff-edge. Into this vacuum came a new wave of non-bank lenders, able to raise funding from third party investors to further develop the nascent alternative lender market. From this, Shard Credit Partners was born. Our team has a combined 80 years of professional experience sourcing, originating and executing, and then managing loans worth a combined total of £70 billion-equivalent across Europe and the US. We aim to bring ‘big-deal’ technology, expertise and know-how to the lower mid-market. 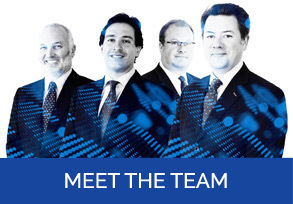 Our investment professionals spend a significant amount of time with management teams. We get to know their businesses to provide a thoughtful and bespoke financing solution appropriate for each individual borrower’s specific needs. Use our eligibility checker to assess your company’s suitability for our offering.